With the global population rapidly ageing and life expectancy increasing, assisted care is a significant challenge in many countries for seniors who want to continue living at home. Touched by personal experience with his aging parent, our Founder and Managing Director, Andre Ferretto, sought a solution that would help and support his mother to age with dignity. Our parent company, SP TechSolutions developed HalleyAssist, a next-generation Digital Assisted Aged Care solution designed specifically to address these challenges for the elderly to age in place, embracing current and future health trends utilising an Artificial Intelligent (AI) platform. SP TechSolutions initially invested into an R&D venture in collaboration with Swinburne University to develop HalleyAssist. Since the initial prototype development, SP TechSolutions has built a skilled team of business professionals and software engineers and engaged a research team to further develop the proof of concept for commercial release. We continue to collaborate with Swinburne university through a project focusing on Machine Learning and Anomaly detection. Through earlier trials, we’ve seen the difference HalleyAssist can make to the lives of seniors, their caregivers, and family. Our vision is to provide a user-friendly application ecosystem that addresses contemporary aged care management challenges and become a leader in the development of future home healthcare trends. We are committed to bringing a truly transformative technology to the healthcare and aged care markets with tangible customer benefits and outcomes. Andre is a visionary Business Leader and Entrepreneur with over 12 years’ success building value-based startups into profitable enterprises, known for high quality. Andre established his first business, Corretto Property in 2005 and over almost a decade built a project management business valued by the trades and clients alike for a focus on delivery, quality, and robust business governance. With an unwavering commitment to providing his customers with beautiful spaces and forever homes, Corretto Property excelled in timely delivery, design innovation, and service excellence. An advocate of innovative businesses that support social impact, Andre established HalleyAssist, from the parent company SP TechSolutions in 2014, having seen an opportunity to revive a cutting-edge R&D project instigated by Swinburne University. Taking over the program, Andre established an expert team of business advisors, researchers and software engineers and spearheaded the proof of concept and pilot stages of the Digital Assisted Living solution. Today, HalleyAssist represents a next generation solution via a smart home behaviours AI platform providing a non-invasive application ecosystem to facilitate current and future health trends, and helping our senior citizen community live happily and healthily in their homes, for longer. Andre is fluent in Italian and holds a Bachelor of Science (Honours) from La Trobe University and several qualifications in the building, construction, and home design field. In his spare time, Andre is a keen runner and an active member of Athletics Victoria. Bob is a senior executive who has experience working with startup and publically listed companies both domestically and international organisations. He brings business development, together with a strong sales and marketing background that is supported by a good technical understanding with particular strengths in building partnerships and alliances. 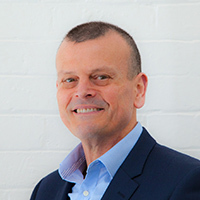 Bob has a strong track record of commercial success through his sales management roles at DataWatch, Blackboard and as Chief Executive Officer of The Learning Edge International (TLEI). TLEI, a leading software solutions provider to the education market and developer of the award winning EQUELLA® digital repository software, Bob grew the company from a small Tasmanian operation to an international organisation with offices in Boston and London. Pearson Education acquired TLEI in May 2010. 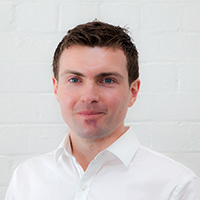 Bob has proven experience in successfully building an SME’s into a leading company across global markets. His experience also extends to the commercial sector working across the service management sector for 5 years. Bob is known as a thought leader with his roles on both State and Federal Industry Councils providing advice to the government on policy and programs in respect to Information Communications and Technology. 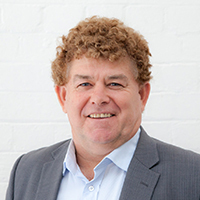 He was the architect behind the MasterClass Commercialisation program that emanated from the Information Technology Industry and Innovation Council (ITIIC) to support SME’s through the Australian Information Industry Association (AIIA) iAwards program and also acts as a national judge for the iAwards. Mathew brings strong technical know-how and a background in the operation of the technical domain with particular emphasis on R&D. 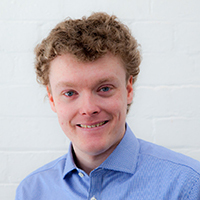 At HalleyAssist, Mathew is responsible for translating business objectives into the design and development of all products, and leading hardware and software engineering. With technical domain expertise in Network security; kernel development; web services design, implementation, and management; computer vision; sensors and IoT; hardware design; firmware and embedded systems, Mathew provides vast knowledge and experience to the team. He was previously lead developer on an Adilam and Swinburne University of Technology R&D project focused on fall prevention and the detection of dangerous situations using anomaly detection algorithms, computer vision, and fish-eye cameras. Mathew has worked extensively in the technology industry over the past 10 years working on and leading projects in multiple domains with a particular emphasis on the Aged Care and Security industries. Mathew is passionate about using technology, computer software and his knowledge to change the quality of lives around the world. Our parent company, SP TechSolutions® developed HalleyAssist®, af next-generation Digital Assisted Aged Care solution designed specifically to address these challenges for the elderly to age in place, embracing current and future health trends utilising an Artificial Intelligent (AI) platform. SP TechSolutions® initially invested into an R&D venture in collaboration with Swinburne University to develop HalleyAssist®. Since the initial prototype development, SP TechSolutions® has built a skilled team of business professionals and software engineers and engaged a research team to further develop the proof of concept for commercial release. We continue to collaborate with Swinburne university through a project focusing on Machine Learning and Anomaly detection. Through earlier trials, we’ve seen the difference HalleyAssist® can make to the lives of seniors, their caregivers, and family. An advocate of innovative businesses that support social impact, Andre established HalleyAssist®, from the parent company SP TechSolutions®in 2014, having seen an opportunity to revive a cutting-edge R&D project instigated by Swinburne University. Taking over the program, Andre established an expert team of business advisors, researchers and software engineers and spearheaded the proof of concept and pilot stages of the Digital Assisted Living solution. Today, HalleyAssist® represents a next generation solution via a smart home behaviours AI platform providing a non-invasive application ecosystem to facilitate current and future health trends, and helping our senior citizen community live happily and healthily in their homes, for longer.